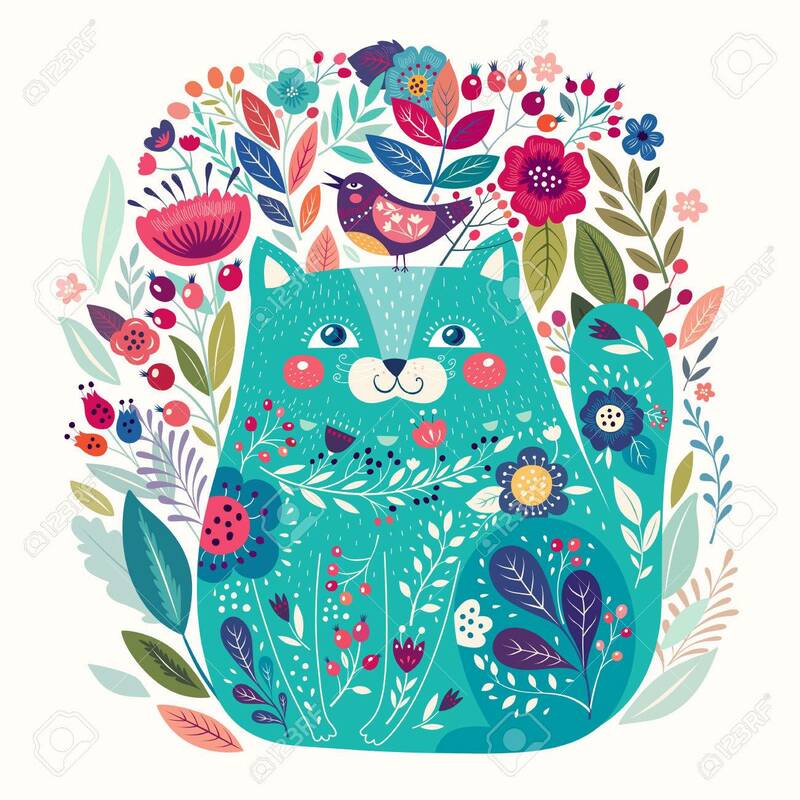 Art Vector Colorful Illustration With Beautiful Cat, Bird And Flowers. Art Poster For Decoration Your Interior And For Use In Your Unique Design Royalty Free Klipartlar, Vektör Çizimler Ve Stok Çizim. Image 63080021.